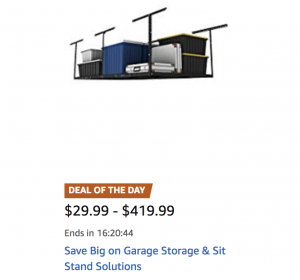 Amazon has Garage Storage & Sit Stand Solutions on Gold Box today – a very weird collection of items, if you ask me, but check them out. Matcha, Superfood Wellness Teas & Tea Wares are on Gold Box today – some over half off! Header reads up to 30% off, but I see over 50% off just with a quick glance, so who knows how much you can save with today’s Amazon Gold Box deals? And say what you want, these are not Easter-themed gifts, but a great idea for the gift closet. 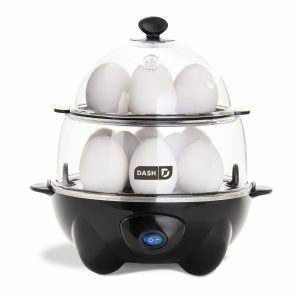 Amazon has the Dash DEC012BK Deluxe Rapid Egg Cooker/Steamer for only $17.99 today as a Gold Box item. Cook up to 12 eggs at a time, steam dumplings, veggies and more. Auto Shut-Off Feature means you can set the timer and walk away. Save up to 70% today on Amazon Gold Box on all your lighting needs – a whole page of everything from bulbs to Bluetooth wall switches! A full page of ceiling fans and remotes today on Amazon Gold Box – time to replace that old wonky fan or maybe take the plunge and get one? New ones are quieter and more energy-efficient, that’s for sure! 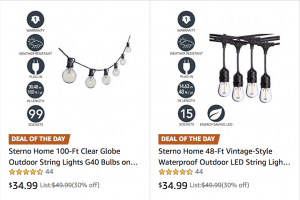 Choice of two really cool patio light sets on Amazon Gold Box today – choose from the clear globe style or vintage-style ones. I replaced the bulb in a hanging kitchen light with an Edison-style bulb and it totally changed the look! 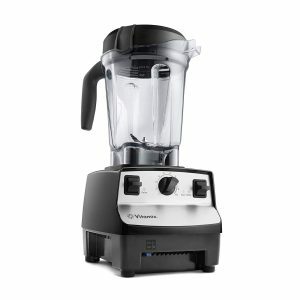 Get this Certified Refurbished Vitamix 5300 Blender, Professional-Grade, 64 oz. Low-Profile Container in Black for only $249.95 today as an Amazon Gold Box Deal. 5-Year Full Warranty: We stand behind the quality of our machines with full warranties, covering all parts, performance, labor, and two-way shipping at no cost to you. Amazon Gold Box has Lifeform Yoga Mats as a deal today – save up to 24% – even includes the travel ones. Routers, range extenders, smart surge protectors and more stuff I have no idea of what they do…but probably need can be yours today on Amazon Gold Box for less.